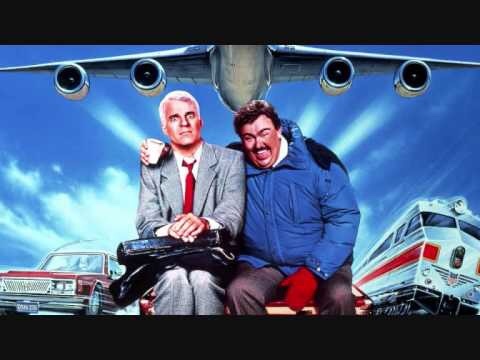 Planes, Trains & Automobiles &? In 1987 a classic comedy was released called Plains, Trains and Automobiles starring Steve Martin and John Candy. The movie was hilarious and remains a classic. It documented Martin’s character and his attempt to get home for Thanksgiving, but no matter how hard he tries, he hits one roadblock after another. The one constant is that Candy’s character seems to always be there too. I got thinking about the movie and the roadblocks we face in life, but then my thoughts took a different turn and that’s where I’m at today. If we look at different modes of transportation we can see that they all have strengths and weaknesses, just as we do. A plane works really well in a three dimensional world. It has few restrictions in its space, but it must remain separated from all others in its airspace due to the dangers involved. A highly trained professional is in control and there is high costs associated with using a plane. Trains are really restricted in he places they go and the things they can do. Trains must follow a very rigid track (literally) that allows for no deviation. If a train goes off the track, it becomes a major issue that needs to be addressed and usually a cleanup ensues. Automobiles are less rigid than trains, but still must follow paths or roads to a certain extent. If an automobile gets too far off course, its liable to get stuck in the mud or snow or get lost in the bush. This results in embarrassment and possibly a long walk for the driver. The other mode of transportation not mentioned in the title is walking. Walking allows us to have almost complete freedom as to where we go. We can get through most obstacles as we walk and we don’t always need a well defined trail if we’re prepared to do a lot of work and get some good exercise. The above examples can also help us to define our journey with Christ. We can have a journey like a plane where we fly in wide open spaces but stay away from all others so they don’t cause us any problems. Or we can be like a train and follow a very rigid track or agenda and not allow ourselves to see what is happening around us, and therefore not let the outside world affect our journey. We can be like an automobile, and have a little more freedom, but still continue along the well worn paths that others have journeyed along before us, all the while unwilling to explore new things that may become obstacles in our way. Or we can be like a person walking, with freedom to walk and explore and find new paths, see new things, and possibly run into people who help us along the way, and share their ideas with us, and we could possibly share something with them that will move them closer to God. I think that God wants us to be walking, and avoiding the other means of transportation as we journey along with Him. He wants us to be free to explore His world and seek out new places and people. If we restrict ourselves to like minded people, or don’t stray too far off the regular path, then we will never have the opportunity to meet that one person whose life we may change forever. Allow yourself to explore God’s world and seek out new places and ideas.